SoftExpert Storeroom is a software solution that focuses on warehouse, stock and inventory management. It provides users with the power to monitor the entire warehouse history, its entries and exits, as well as alerts. The solution is designed to automate the control process to precisely meet maintenance and production demand making the right parts available at the right location. System reports give a detailed and accurate picture of inventory levels, usage rates and carrying costs. Tools that monitors and controls inventory levels, automates purchasing and inventory management are included to optimize the availability of items for upcoming work tasks and to reduce excessive inventory balances and related process costs. 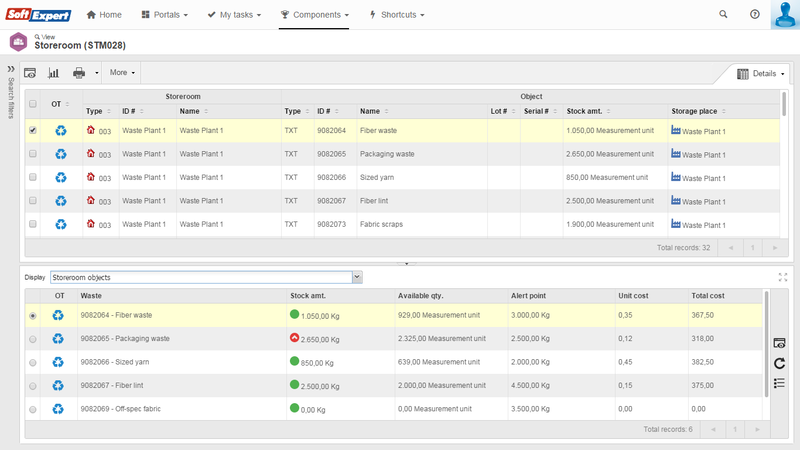 Tracks inventory transactions to help improve parts, materials, supply and waste management. Reduces costs by eliminating excessive or obsolete inventory. Better controls parts and materials. Increases storeroom efficiency and effectiveness. Levels definition access per user. Event control (entries and exits). 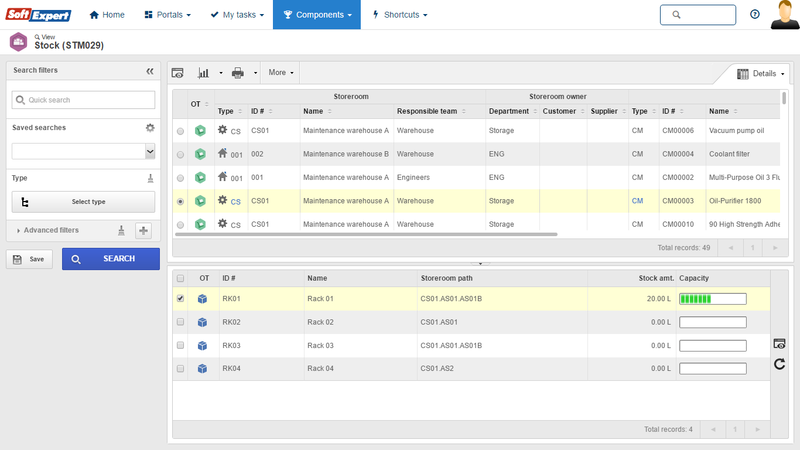 Defines minimum stock replacement points and repositories capacity. Supports integration with internal systems. Defines material manufacturers and suppliers. Controls the orders and received materials. 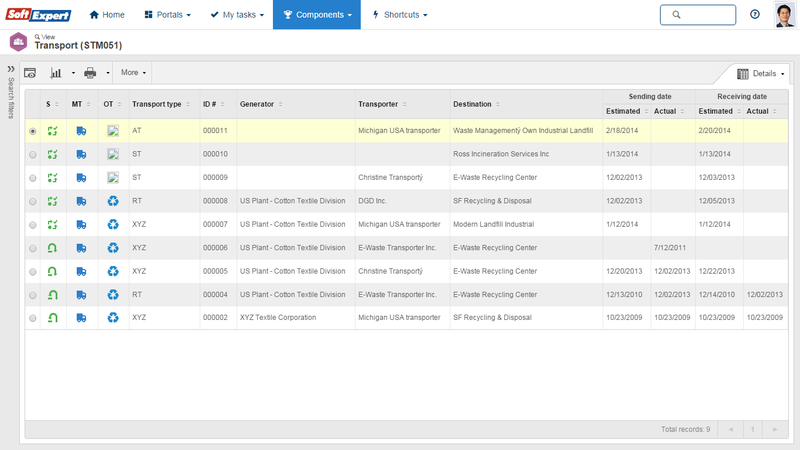 Easily locates inventory items with user-defined filters. Master list of available materials and quantities.